The excerpt is an optional summary or description of a post; in short, a post summary. It replaces the full content in RSS feeds when the option to display summaries is selected in Dashboard → Settings → Reading. 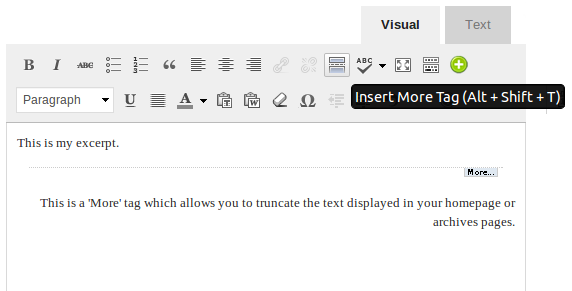 Use the Insert More Tag button on your blog’s text editor (next to the spellchecker button). This will truncate your post content in a particular word or paragraph. In the example below, the homepage would only display “This is my excerpt” with a Read More link at the bottom. Then, it would show the whole post: “This is my excerpt. This is a ‘More’ tag (…)”. 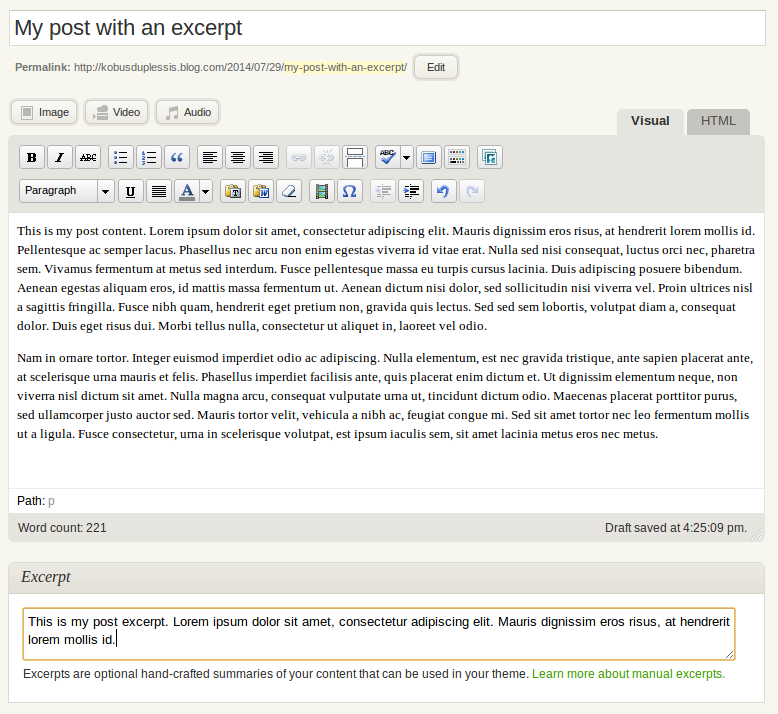 Insert a manual excerpt of your post in the Excerpt box, while you’re adding or editing your post.